Israel’s annual Space Week is underway and science enthusiasts are giddy that relics of the doomed Columbia space shuttle were brought from the US for temporary display in Israel for the first time ever. The US National Aeronautics and Space Administration has loaned the Israel Air Force Center in Herzliya artifacts used by Israeli astronaut Col. Ilan Ramon on the doomed craft that include a camera Ramon used in space, his control system, a recording drive and electronic equipment. Ramon, who perished alongside the six other astronauts on board the ill-fated Columbia when it burned up on Feb. 1, 2003, as it re-entered the atmosphere, was also carrying out a Tel Aviv University-designed Mediterranean Israeli Dust Experiment (MEIDEX) while in space. NASA sent remains of that experiment to display in Israel for the first time ever. Among the guests of space week will be US National Aeronautics and Space Administration astronaut Nicole Stott, Japanese astronaut Soichi Noguchi, NASA’s Shannon Walker and Joseph Acaba, South Korea’s Soyeon Yi, and Italian-born Samantha Cristoforetti, from the European Space Agency. Former NASA astronaut Garrett Reisman. 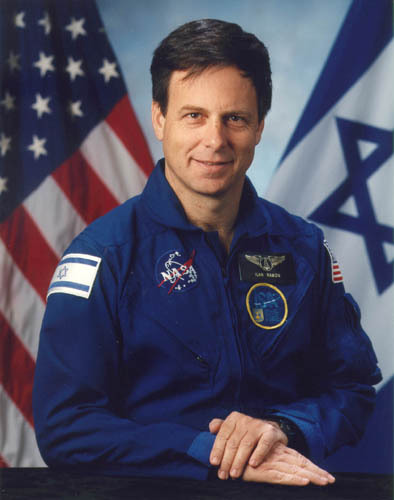 Stott will relate the heritage of Col. Ilan Ramon, the country’s first and only astronaut, who perished in the fatal NASA Columbia shuttle. His widow, Rona, will appear in a broadcast on the website. The central event will be held throughout space week at the planetarium at Tel Aviv’s Eretz Yisrael Museum. The public will be able to simulate astronaut missions such as coping with G forces, functioning at zero gravity, wearing astronaut overalls and building a satellite model. Participants must register in advance via the website, the ministry said. Planetariums in Givatayim, Beersheba, Taibe, Givat Olga, Yarka and Ma’aleh Adumim will also offer activities. The finals of the “Ilan Ramon Olympics” and a space quiz will be held at Ben-Gurion University of the Negev in Beersheba. A special conference to be attended by foreign and local guests will be held at Israel Air Force House in Herzliya. Every year the Ramon foundation, together with the Ministry of Science, hosts astronauts and other leading space scientists.